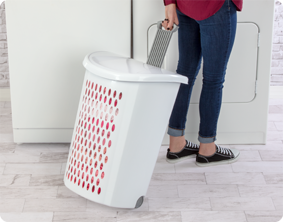 Moving laundry around your home just got easier with the Ultra™ Wheeled Hamper. It combines a contemporary design with smooth rolling wheels and an ergonomic pull-up handle. 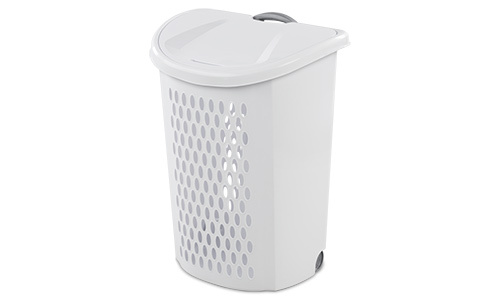 Incorporated into the base of the hamper, the wheels move easily across all smooth surfaces, while the handle provides a secure grip that can be pushed down and out of the way when not in use. The combination of these two features help to make trips to the laundry room less of a chore. For situations where the hamper needs to be lifted, integrated handles on each side provide a comfortable gripping surface while the flip-top lid keeps clothes contained and neat. A large, stylish hole pattern keeps everything well ventilated and helps reduce odor. 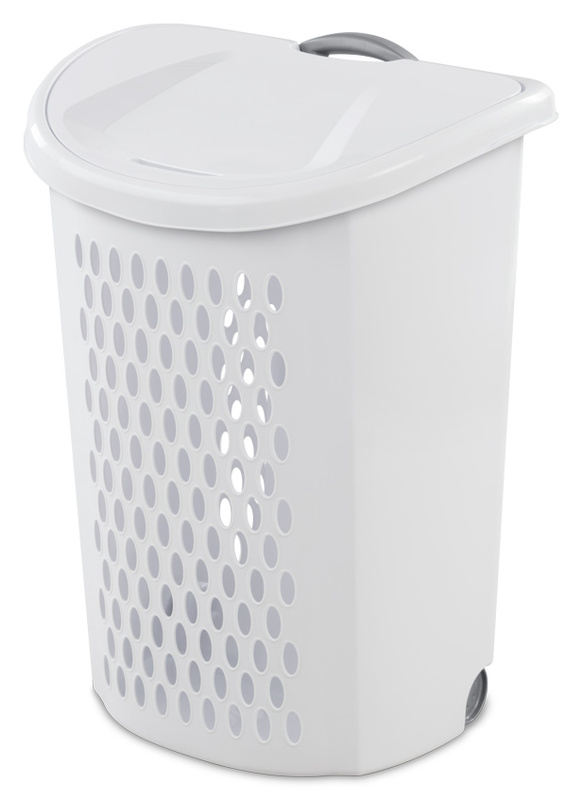 Overall Assembled Size: 20 1/8" x 15 3/8" x 26 3/4"
The Ultra™ Wheeled Hamper is great for transporting clothes around the house.